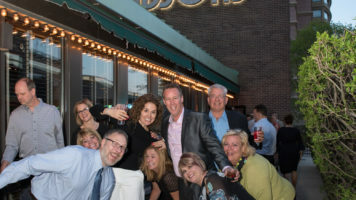 You might have been down the street at Rockford City Market, but at Prairie Street Brewhouse Friday night there was a party going on! Lowe’s employees were treated to a Casino Night and raffle. People won TV’s, a Jacuzzi, gift cards and of course money in the casino provided by Rockford Charitables. DJ Ron Reiner was on hand providing hits from the 70’s to now. He was keeping everyone pumped up with his announcements and excellent music selection.